Take this for what it’s worth and consider the source, but Crimson Cover co-host John Copeland is pretty adamant: Reuben Foster switched his commitment from Alabama to Auburn because he was paid. 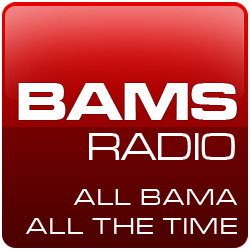 Early in the segment, co-host Mike Parker says “there’s my thoughts and there’s what I can say,” which indicates that Parker—a former Alabama staff member under both Shula and Saban—knows more than he is willing to go on the record with. Again, no comment on the veracity of these allegations. They fly around anytime a big-name recruit commits with a school. When Daphne’s TJ Yeldon committed to Alabama on the eve of a dead period last December, allegations flew. When Brent Calloway switched his commitment and signed with Alabama, not only did the allegations fly but the BAMBI™ crowd went into high gear. Helmet tap to Bradley Carver for the video.